The Horror Duo prepare for New Years Eve with talk of resolutions and strange horror movies. Forest reviews the 1985 Alien rip-off Creature. 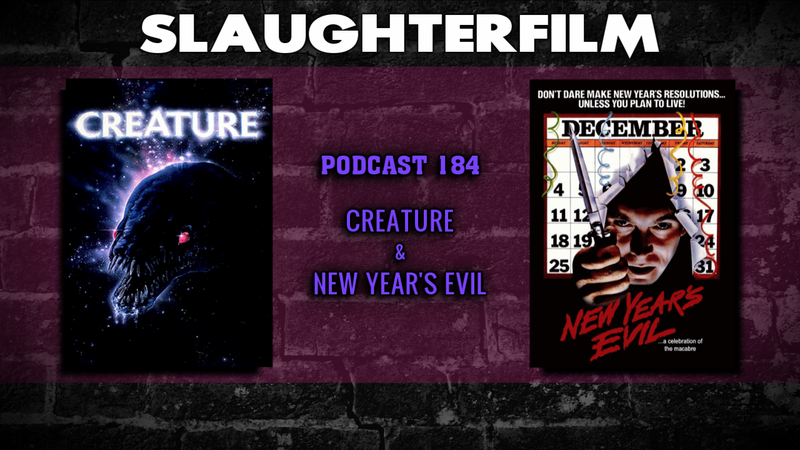 Cory reviews one of the few horror films that focus on the holiday, New Year's Evil. They also recount the Christmas festivities including Cory doing shots with his boss and swimming in Lake Erie on Christmas Eve. They discuss how the Empire finance their intergalactic war and other such nerd-ery, and Cory has "a real hard one" comin' your way. For more Slaughter Film news and reviews, as well as show notes and special events, make sure to visit our website; SlaughterFilm.com.